S3 Alliance and MEI sucessfully delivered and installed a MEI Vapor Dryer last year. With this tool, the swiss microfluidics manufacturer will be able to better dry their complex topology. MEI’s wet processing systems, wet bench platforms and chemical delivery systems provide you with reliable, high-quality solutions for almost every batch immersion or spray wet process application. Field-proven with high performance, MEI’s wet bench is custom tailored to your meet all processes requirements. All MEI systems feature IDX Flexware Process Control software allowing you complete control, monitoring, and data acquisition of your entire application process. With the many advanced features, available options and award-winning support MEI’s wet bench is your Wet Processing solution for all your applications. Depending on the platform MEI offers optional megasonic and ultrasonic process tanks, conductivity and resistivity monitoring, multi-axis robots, a variety of materials choices, exhaust flow modeling, ergonomics and safety features. 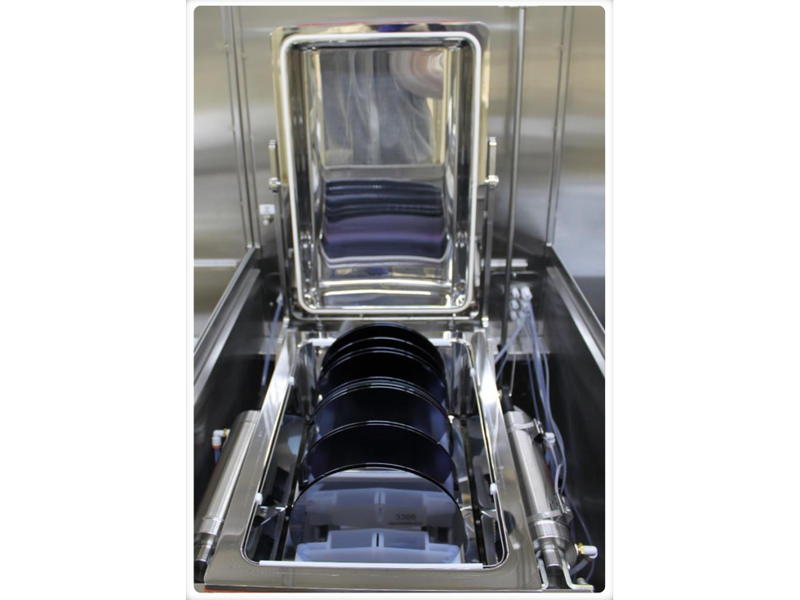 We specialize in fully-automated wet processing solutions, providing Dry In /Dry Out processes with some of the smallest footprints available in the industry. Through our innovative technology, superior design, quality craftsmanship, and award-winning technical support MEI offers a commitment to their customer like no other manufacture in the industry.